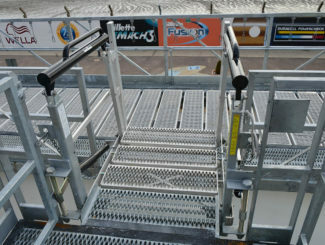 Customize your folding stairs to fit your site and platform requirements. 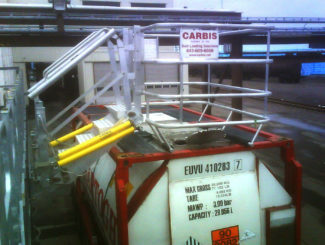 Folding stairs from Carbis Solutions give your operators safe access to vehicles of all height configurations. The design features a self-leveling tread capability that provides level access to the tops of trucks and rail cars. 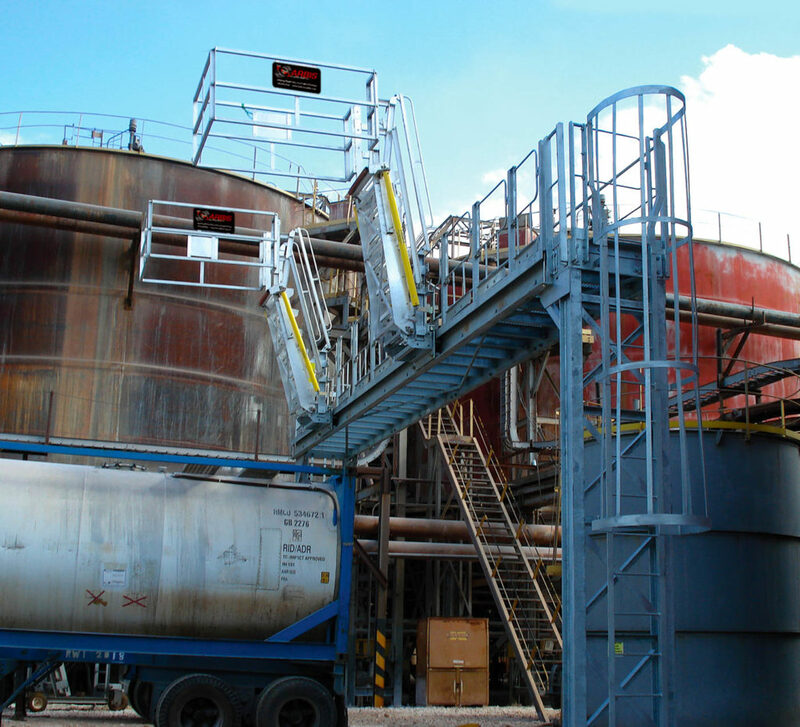 Our folding stairs also help you exceed regulatory fall prevention requirements. 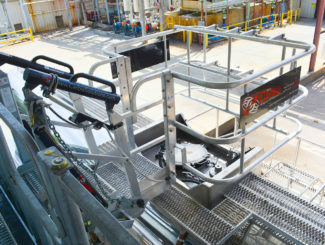 Folding Stairs from Sam Carbis Solutions Group, LLC come standard with manual spring balance operation for raising and lowering, but power options are available. 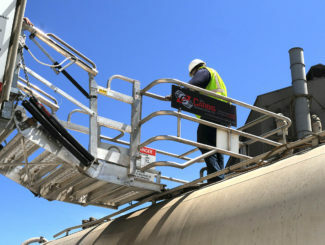 This unit is popular for railcar applications and is typically used for a accessing vehicles with a standard fixed height. 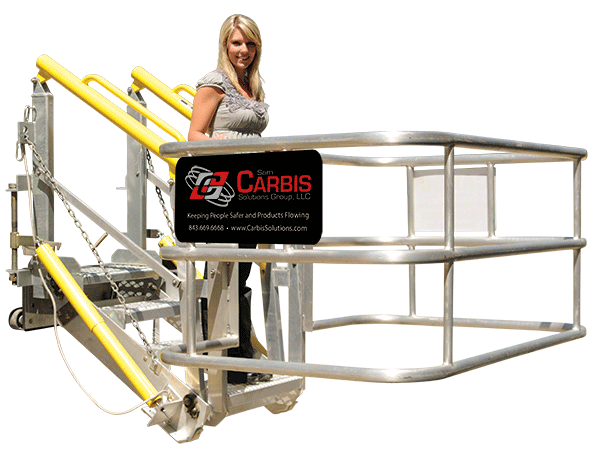 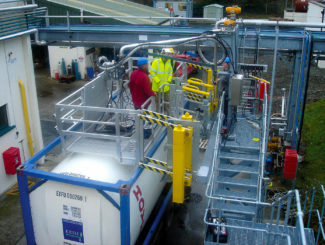 As with all Carbis Solutions gangways, this unit can be customized to fit the dimensions that are ideal for your application.